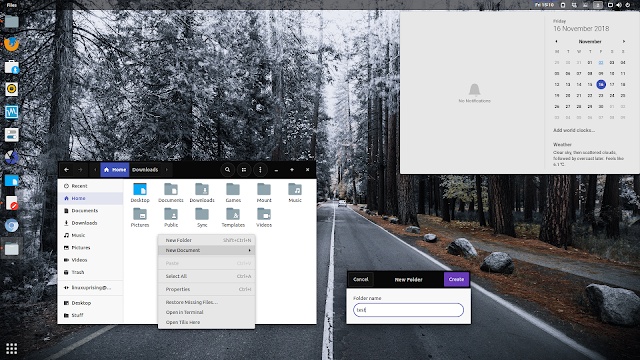 Plata is a new Gtk+ theme based on the latest Material Design refresh. The theme comes in 3 variants, regular (mixed), Lumiere (light) and Noir (dark), each with regular and compact versions. 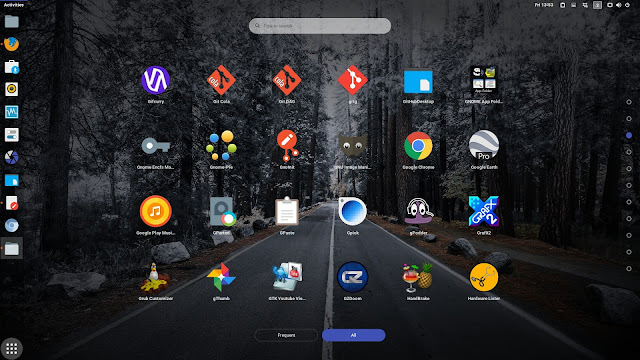 The theme, which mixes black, indigo and grey with bits of red and purple, supports Gtk+ 3.20.x, 3.22.x and 3.24.x, as well as Gtk+ 2, and a multitude of desktop environments like Gnome Shell (and Flashback), Cinnamon, Xfce, Mate, LXDE, and Budgie Desktop. Patheon (elementary OS), Unity 7 and "Gnome Shell customized by Canonical" (the Ubuntu session) are not officially supported by Plata theme. I've used Plata in Ubuntu 18.10 with Gnome Shell and I didn't notice any issues other than the theme GDM theme not being used, but this is only after about an hour of usage. When built from source, Plata theme lets users disable support for particular desktop environments, enable Gtk+ 4.0 support, or change the 4 key-colors. 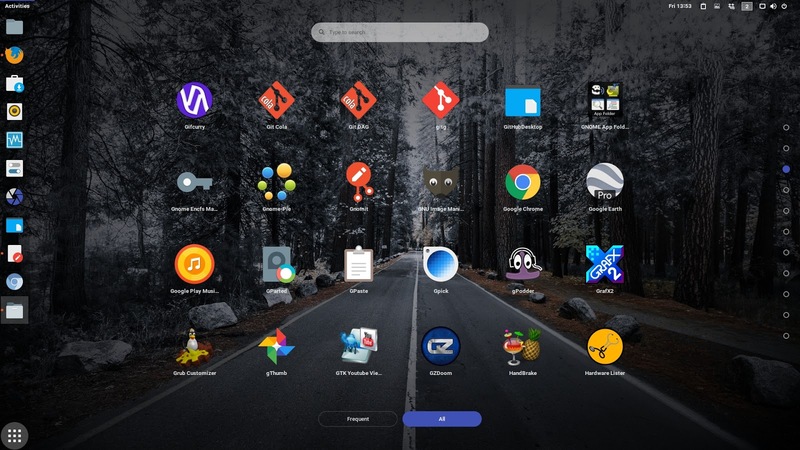 The Plata theme designer (who also created Adapta theme) also offers support for theming Firefox (through FirefoxColor test pilot), Gedit, Plank dock, or Telegram and TweetDeck. I've used Paper icons in the screenshots from this article. 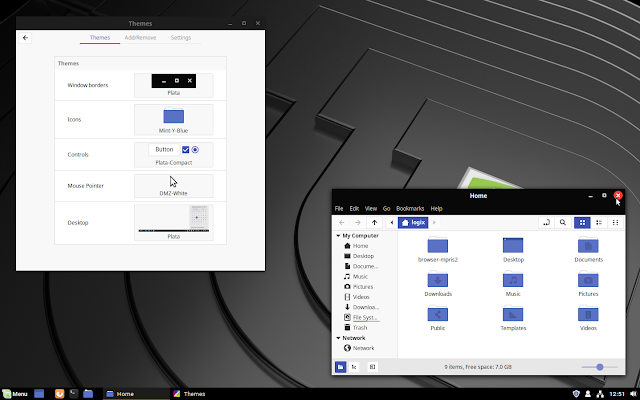 Since the theme needs Gtk+ 3.20 or newer, it's available for Ubuntu 18.04, 18.10 and 19.04, as well as Linux Mint 19. Other Linux distributions users will need to compile the theme from source, as explain on its GitLab project page.